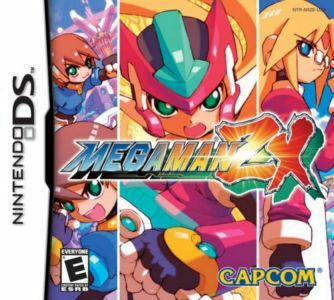 In Mega Man ZX, hundreds of years have passed since the battles between humans and Reploids (robots). After fierce wars between the two sides, peace was finally restored and the two groups were able to establish various cooperative nations within the "Inner" area of the universe. However, danger zones remained in the undeveloped "Outer" section where independently evolved robots called "Mavericks" began wreaking havoc. A group called the Serpent Company scours the Outer universe to provide energy created from otherwise unattainable items to the Inner population and also serves to protect these peaceful nations from Maverick attacks over the years. On an excursion to the Outer region, they discover relics of ancient technologies in the ruins. These relics, called Biometals, are living, conscious materials, with records of information and weapon data from history housed within. Players assume the role of either a human male character named Vent or his female counterpart, Aile, who are employees of the Girouette Express, a courier service that takes jobs transporting anything to anywhere. On a job accompanying their boss, Girouette, to transport a package containing Model X and Model Z Biometals, they are attacked by a mysterious group of Mavericks who seeks to take the material for themselves. During the scuffle, the Model X Biometal is absorbed into the main character, causing a transformation into Model X form while the Model Z Biometal fuses with Girouette. Facing innumerable enemies, Girouette lends his newfound power to his employee and the two substances combine to form Model ZX. With powerful abilities at their disposal, they must discover who the menacing enemies are and what they are ultimately after.